which is correct. But the PFPX Configurator states something different a different cycle e. g. 1608 (but the correct date 18 August 2016 - 15 September 2016). 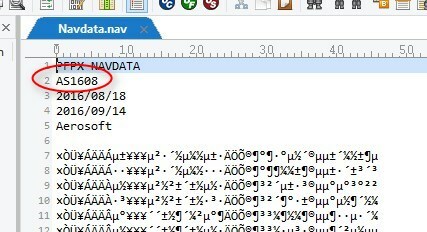 So it seems that there is a problem in the Navdata-file........from which PFPX seems to use the cycle information. The issue is not occurring with Navigraph 1609 installed Hanse. Was PFPX running when the AIRAC was installed? If so have you restarted the program. 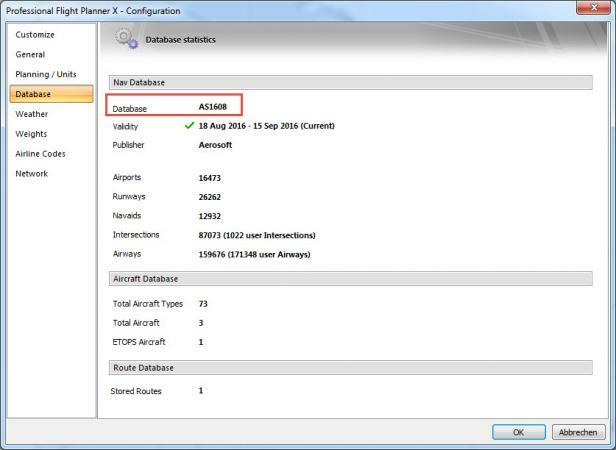 Most likely the cycle info is contained in the navdata.nav file, perhaps the Aerosoft crew can verify the NavdataPro version. Looks to be a NavdataPro issue rather than PFPX, another user has the same 1608 entry but with the 1609 date range in the txt. Yep, I also have the same issue on the NavData Pro 1609 cycle. As Stephen says this is not a PFPX issue. Assuming that an incorrect cycle info causes this problem, I hope that Aerosoft will deliver a corrected version.. I have the cycle info already checked in another topic (http://forum.aerosoft.com/index.php?/topic/112320-navdatapro-airac-1606/) and it looks ok to me. In my opinion this is just a wrong capture of the cycle within PFPX (wherever it get's that caption from), but as the time frame is displayed correctly I would assume that the navigation data is just fine (i.e. the AS1609 one).